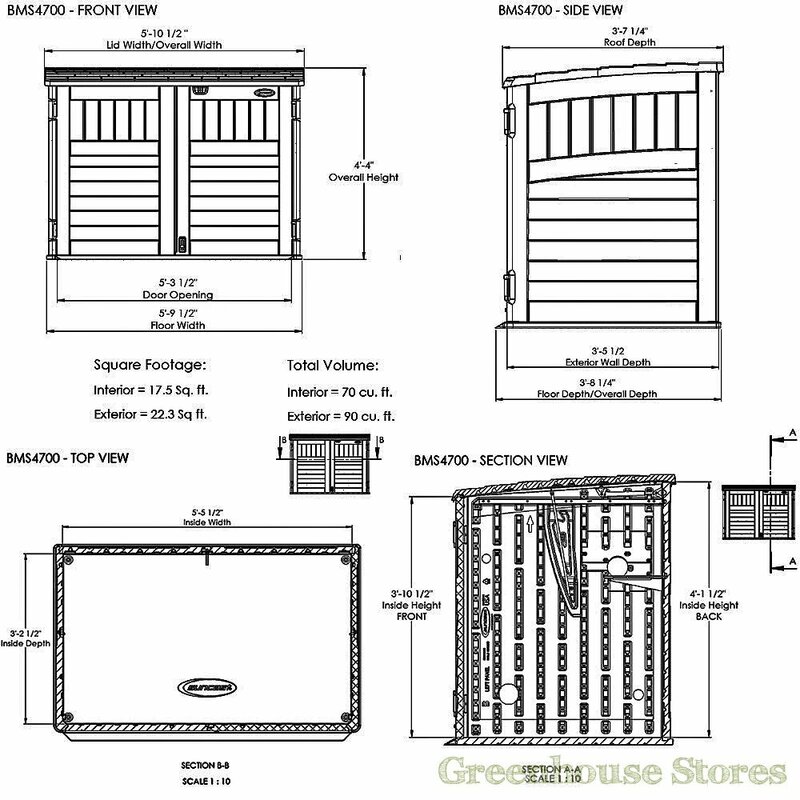 1790mm (5ft 8") Wide Plastic Shed - Practical shed design. 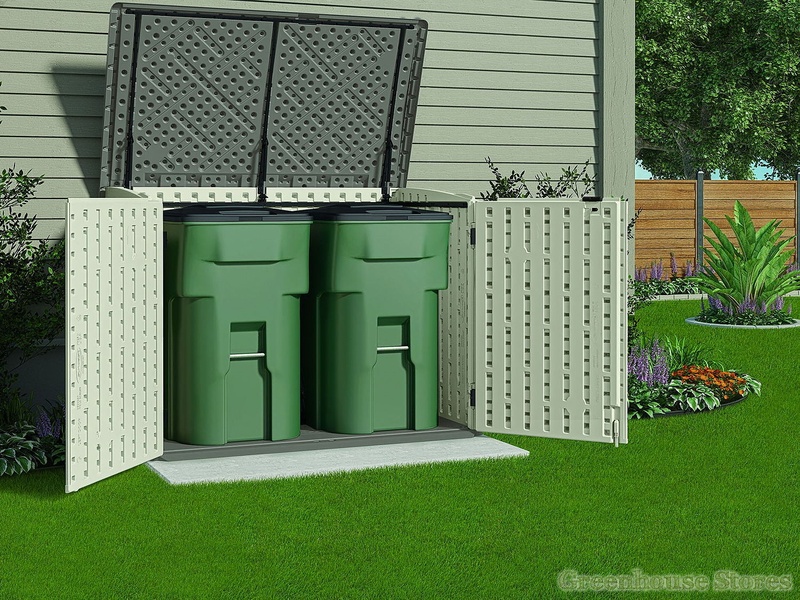 Ramped Access - Ideal for wheelie bins. 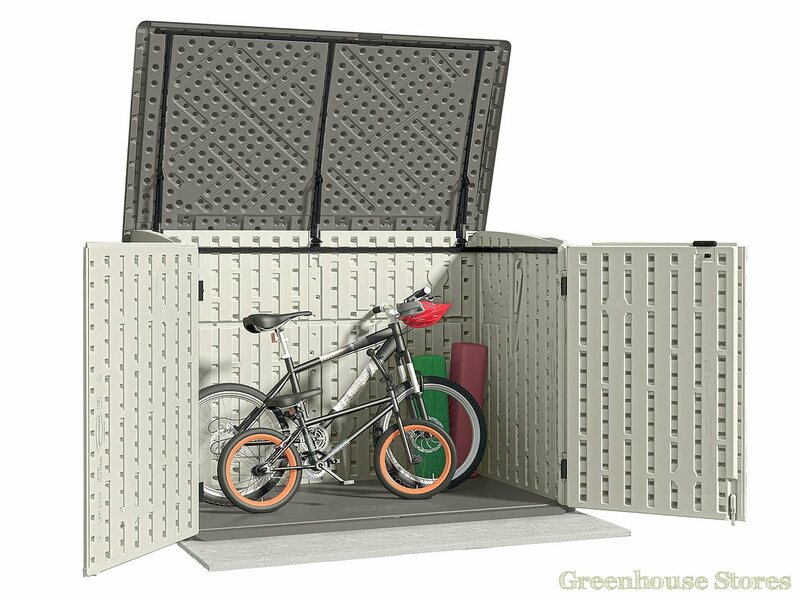 3 Door Locking System - Pad-lockable. 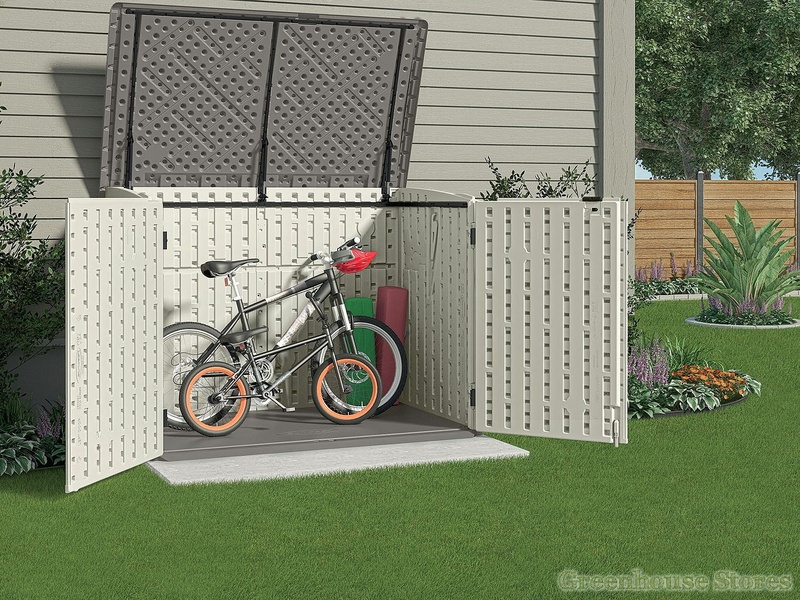 The Suncast 6x4 Kensington Eight Plastic Garden Store's low profile design to make it ideal for the side of the house and the ramped entry allows easy access for your wheelie bins. 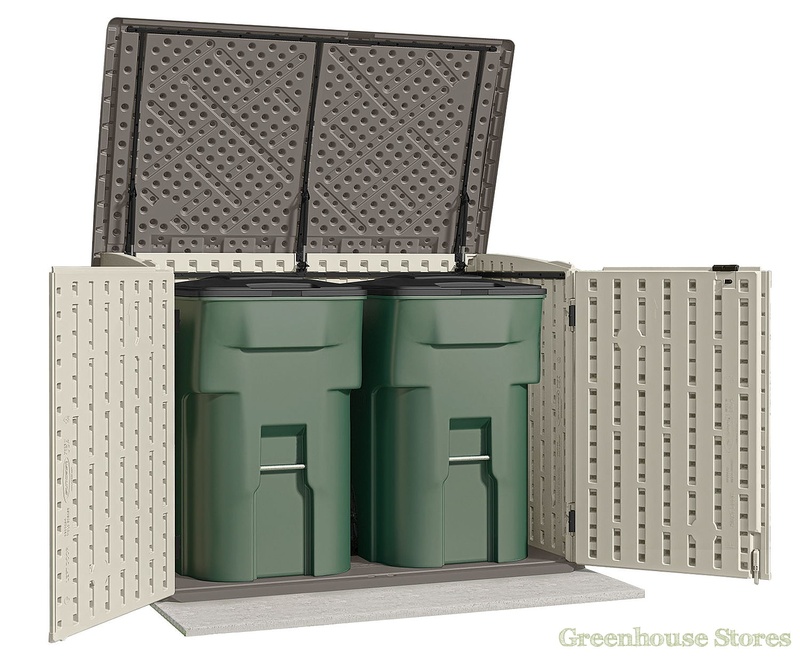 The 6x4 Kensington Eight storage building has a gas strut supported lid for easy opening. 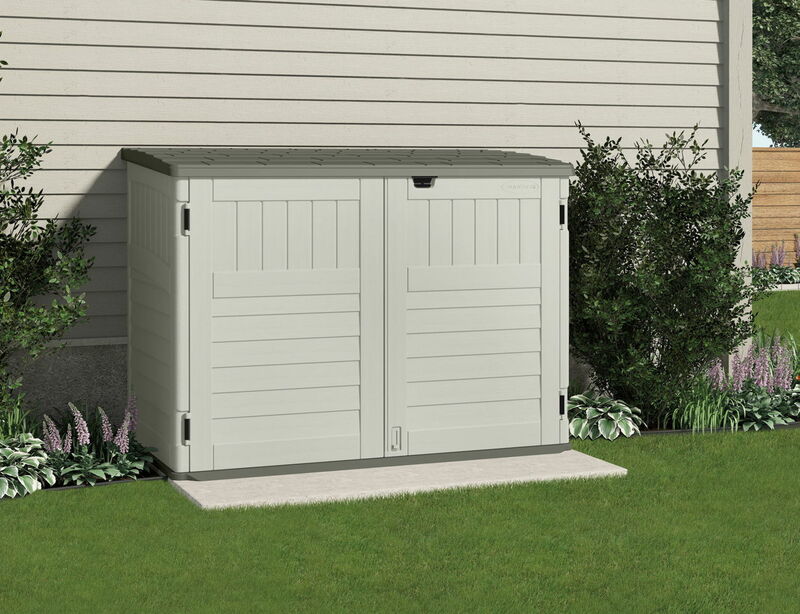 The three doors are pad lockable for added security.